Process and package your cheese or other food products more reliably and less expensively with the latest servo-controlled, polished stainless equipment. Avoid headaches and downtime. Enjoy the benefits of a customized, robust production line that you can be confident is going to get the job done. Easy to clean, sleek, hygienic, polished stainless steel. Continual innovation with precision, servo-controlled products. Custom-built to satisfy the needs of our customers. Our people who build HART machines, install and service the equipment for you. They know HART equipment. We’re a family-owned business where we take pride in solutions we craft for our customers. 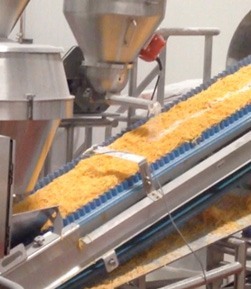 Filling of cream cheese and process cheese from retail 90 gram packs up to institutional 50 pound bulk boxes. Automation from manual to semi-automatic to fully-automatic integrated machinery. 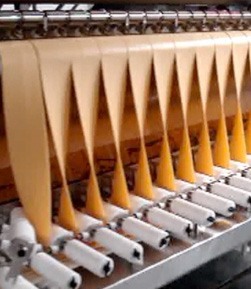 Casting of process cheese (or similar product) of various widths, slitting individual to any width ribbons, cutting (retail and institutional), stacking, diverting, and wrapping. Cutting of all different standard and non-standard size starting blocks to customer defined finished products. Manual to fully automatic. Full line integration if required. Custom projects and ancillary equipment for all lines; conveying, carton forming, robotic automation, metal detecting, check weighing, etc. Shredding and/or dicing for a food service line or a retail line is no problem with HART. Our machines are easy to clean, built robustly, and designed for years of trouble-free service. The same technicians who assembled your equipment in the HART shop will service your equipment in your plant. They thoroughly understand your particular equipment. From original installation to regular maintenance to troubleshooting, you talk to the same people. HART Design & Manufacturing strives to be a premier, world-class solution provider in the cheese processing and packaging equipment industry. Customers in Canada are using HART Design’s processed cheese, natural cheese, and cream cheese equipment. Customers in the United States are using HART Design’s processed cheese, cream cheese, and natural cheese equipment. Customers in Thailand are using HART Design’s processed cheese equipment. Customers in Saudi Arabia are using HART Design’s processed cheese equipment. Customers in China are using HART Design’s processed cheese equipment. 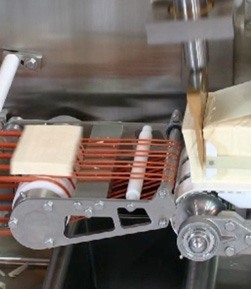 Customers in Japan are using HART Design’s processed cheese and cream cheese equipment. Customers in Brazil are using HART Design’s processed cheese equipment. Customers in Argentina are using HART Design’s processed cheese equipment. Customers in Australia are using HART Design’s processed cheese and cream cheese equipment. 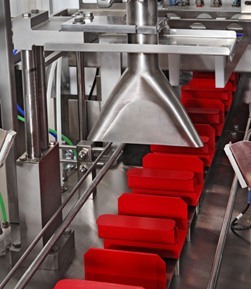 Customers in Spain are using HART Design’s processed cheese equipment. Customers in Costa Rica are using HART Design’s natural cheese equipment. Customers in Indonesia are using HART Design’s processed cheese equipment. Customers in Ireland are using HART Design’s processed cheese equipment. 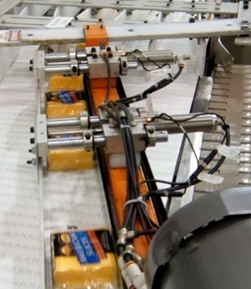 Customers in Germany and Holland are using HART Design’s processed cheese equipment. Customers in Finland are using HART Design’s cream cheese equipment. Customers in Philippines are using HART Design’s cream cheese equipment. Customers in Columbia are using HART Design’s processed cheese equipment. Customers in Mexico are using HART Design’s processed cheese, natural cheese, and cream cheese equipment.